It’s the moment for a Barolo; the King of wines, the wine of Kings. 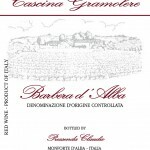 Barolo 2012, Cascina Gramolere, Monforte d’Alba. A few words about Barolo: this is one of the few wines that fears no comparisons. It’s considered the King of wines and the wine of Kings, but I prefer to call it a jewel of world enology, because Barolo, I repeat, does not fear any comparison. 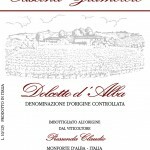 And this, above all, is a Barolo from Monforte, a terroir with a very high vocation. As always, we start from the vine: the Nebbiolo. It is ancient; it arrived in 1266 but then over time it managed to find its exclusive habitat in the Langhe: an area with ​​11 municipalities and 2,000 hectares, the Barolo DOCG area. 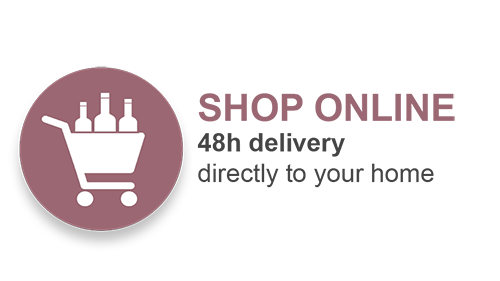 Monforte is one of the most suitable terroirs. It goes without saying that the territory here has a very high vocation; a territory that was formed 150 million years ago as a result of sea level rising; a land rich in marls, limestone, clayey marl and Monforte is particularly rich in microelements. These elements, this terroir, mean that the vine finds its maximum habitat here and provides high quality products. Nebbiolo gives rise to the great Barolo. The vineyard, needless to say, fully enhances the quality of the grapes; as a result sustainable agriculture is possible along with integrated pest control and a low yield per hectare. Nebbiolo grapes are picked late, when the mists arrive, hence the name, and it usually has a late ripening period, towards the end of October and early November. The winery does nothing more than enhance this great wine, in the sense that the fermentation period is long and so are the macerations. Barolo must be preserved in wood; here Claudio uses large Slavonian oak barrels. Barolo can continue having an aging period in bottles, so as to refine those great aromas that make it truly unique, all over the world. In summary, a great wine from a great territory. 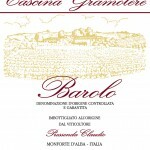 Let’s have a look at the guided tasting of this wine: Barolo 2012 Monforte Cascina Gramolere. Garnet red, remarkably beautiful with its nuances and the viscosity is perfect, as are its tears. It is clearly a very pristine wine. 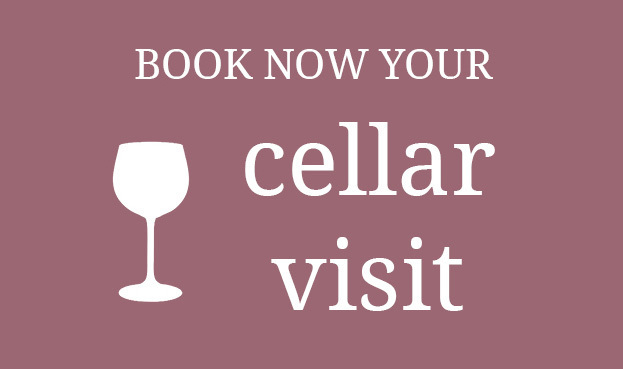 Now let’s go to the famous goudron, the nose, to discover Barolo’s scents. There are tertiary fragrances of the highest level, great finesse, and an immense souplesse profile. Clearly notable are the spicy aromas of white pepper and cinnamon which then evolve over time into black truffle nuances and tobacco notes that make the Barolo such a great wine. The aromas here are truly at their highest level. These fragrances are linked to fermentation, the cellar and also partly to wood and to the evolution of the wine over time, even in the bottle. 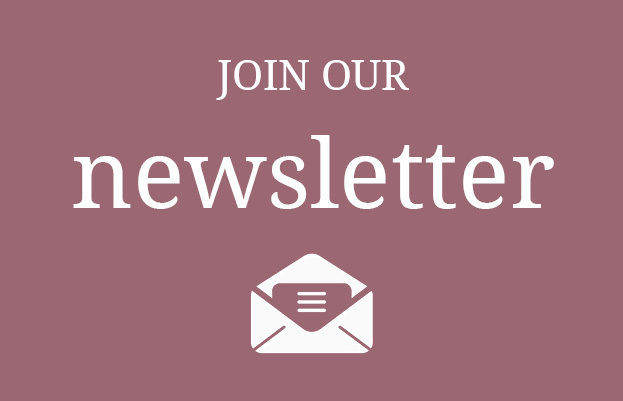 Barolo is a complete wine, full-bodied, warm, balanced and of great persistence. Barolo fully expresses the vine, the territory, the Langhe region, the viticulture, the winery… basically everything. Barolo also expresses great sensations in the mouth that make it a remarkable wine for a unique sensorial gratification. Its warmth, structure, persistence over time and length make it a wine that clearly should be valued in the right glass at the right temperature. The bottle should be opened half an hour prior to drinking, in large glasses such as the balloin, the huge ISO, a large glass which allows it to develop its great features. Needless to say, at the dining table it should be enhanced with important meat, game or braised meat, but also with aged cheeses. Barolo is also great with steaks and with a cheese platter. The serving temperature is obviously fundamental; it should be around 20 °C and the important thing is to use the right glass and, of course, in the right company. Barolo can evolve over a considerable length of time; I have tasted Barolo that goes back to even 30-40-50 years ago. This Monforte Barolo has an exclusive terroir that can age up to 10 years. It will no doubt improve over time in terms of color, aromas and above all flavors. Barolo is the perfect synthesis of a vine and a territory with a high vocation and fully honors the Langhe, Piedmontese, Italian and world enology.